If you're getting ready to flip the switch on your inbound strategy for online lead generation, you'll need to decide what platform to use to power the strategy. The 2 most common options for inbound marketing software are HubSpot, and what we call FrankenSpot, or WordPress with a bunch of plugins and 3rd party tools integrated. a CRM (HubSpot FREE CRM is the best). Please keep in mind when you read through the 10 reasons we choose HubSpot over WordPress with plugins (FrankenSpot), that we have run our own inbound efforts under both setups. We have clients that run under both setups. Thankfully, most are now on HubSpot. One of the biggest advantages to companies choosing inbound marketing is the abundance of data available to determine what's working and what's not. Even more important is the ability to calculate ROI for inbound marketing efforts. 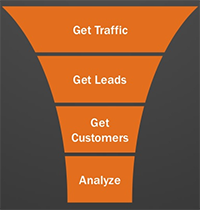 HubSpot makes this VERY easy with it's end to end, closed-loop analytics. Would you like to know how that client you just closed into a sale first enaged with your company? No problem. Look in the HubSpot contact tool to see their first touch point. This allows you to tie a sale all the way back to a social post on Twitter, or a blog post written by your staff. No other marketing allows this level of highly available, real time data. Period. With FrankenSpot, you can get a lot of this information, as long as you are willing to check your HootSuite analytics for social media, Google Analytics for website visitor information, InboundNow for lead conversion information, and MailChimp for email engagement information. What takes 2 minutes in HubSpot, takes an hour in FrankenSpot. Piggy-backing off of my last point above, having all of the tools in an inbound marketing arsenal in one platform saves time, makes data much more connectable, and gives you one philosophy on how an application should work instead of the 5-10 with FrankenSpot. A common scenario where having all of the tools in one application is helpful is when you are setting up an inbound marketing campaign. evaluate performance and results (InboundNow, Google Analytics, HootSuite, and MailChimp). Not having to master 5-10 platforms is a huge time savings (equaling a huge financial savings), and it makes visibility into what's working much easier. Inbound marketing has a lot of moving parts. Using HubSpot simplifies those moving parts and makes it as efficient as possible to be successful. This makes managing your inbound strategy much easier. one of the integration checkboxes wasn't selected when it was supposed to be. These issues lead to poor user experience when a prospect is trying to become your lead! These issues also require someone (your staff, web vendor, etc...) to spend time ($) chasing down the cause and correcting it. The platform you choose for executing your inbound strategy should just work, with no duct tape needed. Security is near and dear to EVERYONE's heart, including your customers and prospects. HubSpot has never been successfully hacked. Does that mean they never will be? No. There's always a chance, no matter what platform you use. If the Federal Government can get hacked, anyone can. On the flip-side, WordPress has a reputation for being targeted and successfully hacked. You might be saying, "But, if you update your WordPress platform regularly, this is a non-issue.". You could be right. However, that would mean that all of your integrations are updated correctly at the same time, and that your website theme will work just dandy with the new WordPress core update. 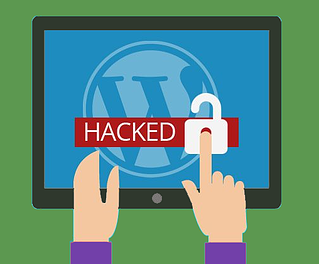 These are two very common reasons that WordPress sites DO NOT get updated and become vulnerable to attack. Additionally, by using FrankenSpot, you are at the security whim of WordPress, MailChimp, InboundNow, SEO By Yoast, and every other plugin you install in WordPress. I can say with 100% certainty that we have never seen a client site hacked or defaced on the HubSpot platform. I can't say the same for WordPress - FrankenSpot. Every application has a roadmap for ongoing improvements and enhancements. WordPress publishes updates and new versions. MailChimp improves it's platform. The plugin makers improve their plugins. Obviously, HubSpot improves their platform. The main difference is the mission for each piece of FrankenSpot. WordPress wants to be the best content management system, not the best tool for inbound marketing. MailChimp wants to be the best email marketing platform, not the best tool for inbound marketing. WordPress plugins want to be the best at what they do, not the best tool for inbound marketing. HubSpot is focused on evolving it's entire platform to be the best toolset for inbound marketing. Because of this, the tools within their suite are also improved from an inbound marketing perspective. 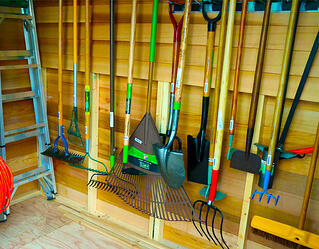 The tools are each improved to work together. The email tool is improved for inbound marketers. The reporting tool is improved for inbound marketers. You get the point. Many of the clients we work with come to us without a CRM. Using HubSpot, you get a free CRM included, that also happens to be the most intuitive and easy to use CRM available, in my opinion. When new contacts (leads) are created through your website, they are automatically accessible in the HubSpot CRM. 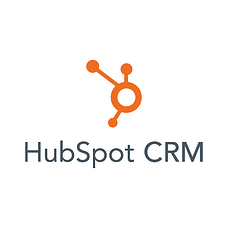 The HubSpot CRM was built to be directly integrated with the HubSpot marketing platform, which means everything, again, is under one roof and easily accessible. You can jump from viewing a lead's interactions with your website, to adding notes about them in the CRM, all on the same screen. It's worth mentioning that HubSpot integrates with several other CRMs as well, but none are as easy to use as their own. FrankenSpot, on the other hand, also integrates with several CRMs. None will be transparently integrated and accessible in the WordPress dashboard to the level of HubSpot. Using WordPress will require to manage yet another platform for CRM features. One of the biggest advantages to using HubSpot is the wealth of educational content and support at your disposal. They have several certifications for subscribers, and their support is top-notch. HubSpot's training resources are all geared around inbound success, even when they are training you on a specific toolset in the platform. FrankenSpot components all have their own educational resources and support. There is usually very little training or support around integrating the various pieces, and any training is specific to the tool providing it. It's not uncommon to have a plugin support person blame the WordPress platform and WordPress support blame the plugin, with you stuck in the middle with an unsolved issue. 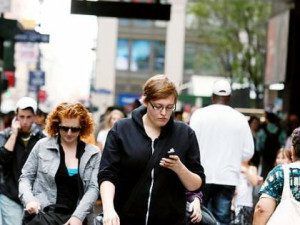 It turns out this smartphone thing isn't a fad afterall!?!? If your website isn't optimized for viewing on a mobile device, you will take and SEO hit, and your prospects will be much less likely to stick around your site. HubSpot's tools produce mobile friendly results across the board. Your website, landing, and thank you pages are all mobile optimized. Your emails are mobile optimized. This is built in with HubSpot. FrankenSpot can be setup to be mobile friendly, if your theme is developed that way. The various pieces all have mobile options as well. It's just not as automatic. If you haven't gotten the gist yet that HubSpot is much easier to use and manage, it's worth taking another sip of coffee and rereading one through nine above. What can take an hour with FrankenSpot, will take a few minutes with HubSpot. Data that is vital to inbound success is readily available and in an ideal format in HubSpot. It's a 5+ step process in FrankenSpot. These inefficiencies lead to inbound strategy abandonment, which results in a waste of time/effort, and a blown opportunity to increase your lead volume/quality. HubSpot's WYSIWYG editor for website, landing, thank you, and blog pages is extremely easy and truly 'what you see is what you get'. There are no discrepency when you click 'Publish'. FrankenSpot tends to be a crap-shoot. You never know if what you're creating in the WordPress back end will look the same on the website's front end.